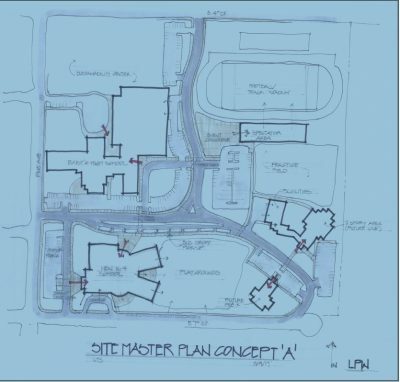 Whitefish Schools will host a community forum on Thursday, April 12, to hear from residents about the design of the new $26.5 million Muldown Elementary School. This is a great opportunity for community members to voice support for an energy-efficient building that provides student comfort and saves taxpayer dollars for decades to come. The District’s new Center for Sustainability and Entrepreneurship, scheduled for a grand opening on April 21, aims to be a state of the art “net zero,” energy-efficient facility that will produce as much energy as it uses. It will include classrooms, laboratories, a greenhouse, energy systems, production gardens, orchards, and an experimental forest. The much larger new elementary school should also be built with a focus on energy conservation. When it comes to building an energy-efficient building, good intentions are not enough. Whitefish has a track record of intending to construct efficient public buildings but falling short of actually building them. I learned this lesson the hard way a few years ago as a Whitefish City Councilor. When we decided to build a new Emergency Services Center (ESC) for the police and fire department, the council asked for a state-of-the-art green building. However, we were dissuaded by the architects from requiring LEED, or Leadership in Energy and Environmental Design, certification, the well-known gold standard for a green building. They would meet the intent of LEED, we were told, without the extra expense of the external accountability. That was a bad decision. The ESC is a building where on a given day air conditioning may be running in one part of the building while heating is running in another. A recent energy audit of the ESC commissioned by the Whitefish Climate Action Plan Committee found a number of issues with the building’s systems and identified opportunities to retrofit the building to save energy (see ESC Audit report). The school district’s own new high school also was supposed to be green and energy efficient. It was constructed with a lovely open floor plan inside the front door. The building design called for keeping the old gym and foyer. Unfortunately, these were not properly insulated and warm air from throughout the building flowed out of the foyer walls and ceiling. In February this year, a sprinkler pipe in the ceiling froze and burst, spraying like a full-pressure garden hose. It caused minor damage and forced students to evacuate. While improvements can be made to existing buildings, it is more effective and less expensive to design and construct a building to be energy efficient from the start. On a large project with many different players, this is not easy to accomplish. In order to ensure accountability for an energy-efficient product, some sort of formal standard needs to be adopted and written into the design and construction contracts. The State Legislature adopted its own Montana High Performance Building Standards in 2016 as a requirement for all new state buildings. The state encourages local governments and schools to adopt these standards, at a minimum, for new buildings. The Bozeman School District has adopted a third option for its new high school: A national set of energy standards specific to schools. The Collaborative for High Performance Schools standards, often abbreviated to CHPS or “Chips,” provide several different assessment tools for high performance, energy-efficient school projects. Please come to the community forum and ask the school district to adopt energy efficiency standards for the new Muldown Elementary School. The forum is from 7-8:30 p.m. at Muldown Elementary’s multi-purpose room.